This is a spacious apartment in the very centre of Barcelona, right on the edge of the up-and-coming Sant Antoni area. The neighbourhood is becoming an increasingly popular place to dine out or have a drink. 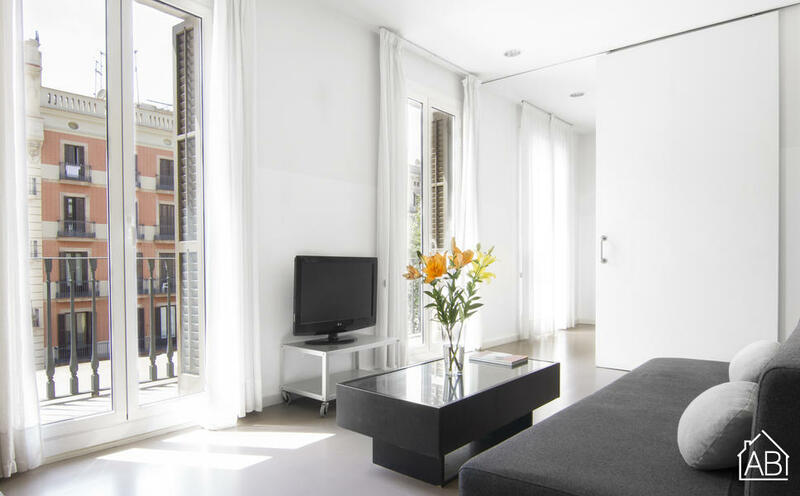 What´s more, its location just next to the equally trendy Poble Sec and the Eixample area is perfect for those looking to make the most of their time in the city, and stay in the heart of all the action. The apartment is bright and has a modern décor, with a clean lines and minimalist touches. There are three bedrooms in total, with a double bed and four single beds distributed throughout. There are two bathrooms, allowing for plenty of space and privacy. The fully equipped kitchen comes complete with everything you´d need to create your favourite dishes, although you could always stroll down to the nearby Sant Antoni or Boqueria markets and pick up some fresh ingredients to try out some Spanish recipes. A dishwasher, iron, air-conditioning and heaters add to the comfort and convenience of this apartment. There is also a WiFi connection, making it easy to get work done from home, or keep in touch with friends and family. With an unbeatable location, plenty of space and many amenities, this is overall a fantastic rental in Barcelona.